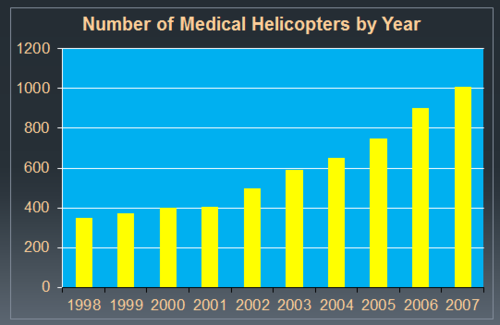 Yesterday, I wrote about the (unclear) benefits of helicopter EMS transports. Today, I’ll cover the risks. 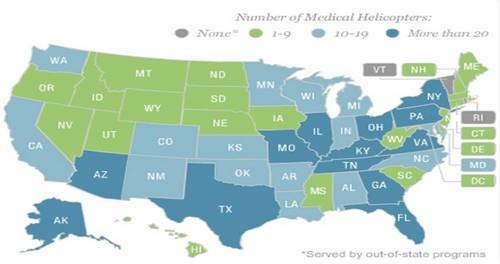 The number of medical helicopters in the US has grown dramatically since 2002. As can be expected, the number of mishaps should go up as well. Although it looks like the fatal and injury accidents peaked and then declined, it does not look as good when compared to the rest of the aviation industry. 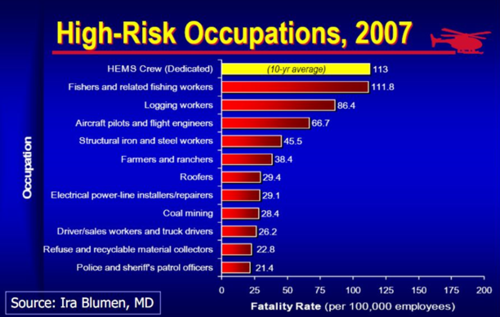 Consequently, being on a helicopter EMS (HEMS) crew has become one of the more dangerous professions. And unfortunately, the numbers have not improved much during the past five years. So what to do? Make it a big PI project. Approach it systematically, analyze the issues, and create some guidelines and protocols for all to follow. Tomorrow, I’ll review guidelines for HEMS released by the American College of Surgeons Committee on Trauma. 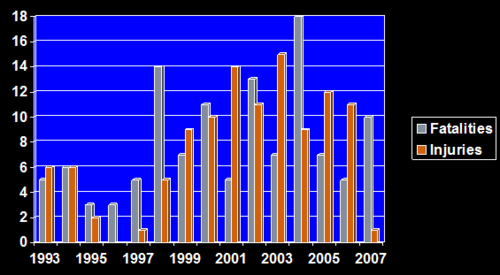 Reference: Medical helicopter accidents in the United States: a 10 year review. J Trauma 56:1325-1329, 2004. Reference: A descriptive study of the “lift-assist” call. Prehospital Emergency Care 17(1):51-56, 2013.